Thinking about changing up your normal hairstyle with dreadlocks? There are a number of reasons why dreadlocks are awesome, some of which you may already know, but others will likely surprise you. It’s a common misconception that dreadlocks require a lot of work, but you’ll quickly learn this isn’t the case. Once you’ve started your dreads, they will generally do the rest. As your hair grows, it will automatically be pulled into the dreads. Known as the “natural” or “organic” method, this is the preferred way to grow dreads by many people. You’ll have to give your dreads a little help at first, but your hair will eventually dread itself. Let’s face it, most people dread their hair because it looks cool. Whether you’re a man, woman, young or old, dreadlocks possess a uniquely charismatic style that’s not found elsewhere. There are hundreds of different types of hairstyles out there, but none of them offer the same stylish look as dreads. This means you’ll feel greater self-confidence sporting them. A third reason why dreadlocks are awesome is because they are easy to manage. According to one study, the average woman spends nearly an hour (55 minutes) on her hair and beauty regimen each day. 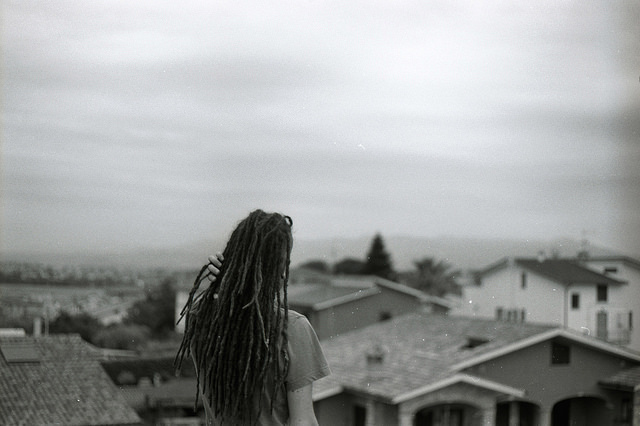 Dreadlocks, however, are hands-off, requiring very little maintenance. You should still wash and condition your hair on a regular basis, but you don’t have to worry about trying to get the perfect style. This alone is reason enough to choose dreadlocks over other hairstyles. With dreadlocks, you can say goodbye to bad hair days. It’s frustrating when you wake up in the morning, only to discover that your hair is a tangled mess. You may tweak, comb and brush it to no avail. Sound familiar? Dreadlocks eliminate this problem by maintaining a clean, consistent look from day to day. Sure, you may need to adjust it once in a while, but dreadlocks will typically eliminate bad hair days. Yep, dreadlocks promote healthy hair. By keeping your hair in tight locks, it will lock in valuable moisture, oil and nutrients, preventing your hair from drying out. One of the most common causes of damaged hair is dehydration, which often occurs as a result of moisture evaporating from within the hair’s roots. Dreadlocks prevents this from happening, however, by locking the moisture within the roots.